You might have thought that Spring was here in mid February however meteorologically spring started on the 1st March, (or for the budding astronomers amongst you, not until the 20th March). The fine weather certainly brought visitors flocking to Granites and the nature trails over the half-term week; we had over 6,000 visitors! 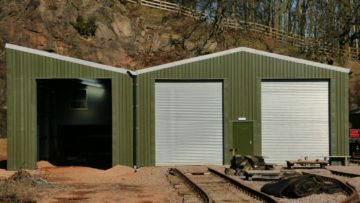 Many of the visitors will have noticed the railway museum extension taking shape, more of that later, or would have tried their hand at driving one of the garden railway locos. You may remember that we placed the order for the building late last year as a way of avoiding price fluctuation. We were short of our £50,000 target, but had raised sufficient funds to cover construction. The shell of the extension is now built and internally our volunteers have made rapid progress building a small office/workshop at the rear of the building. Installation of the electrics is also well underway and the concrete floor has been poured. In the near future we should also be obtaining rails and sleepers to allow us to extend the tracks in the base of the quarry into the extension. The time and effort our volunteers provide allows us to keep manpower costs to a minimum, however we still need to buy materials and pay for specialist labour. Progress is such that we are rapidly using up the remainder of the £45,000 raised to date. So once again we make a plea for donations (details on our railway donations page). The completion of the extension and the final fit-out of the railway museum is dependant on us reaching our £50,000 goal. 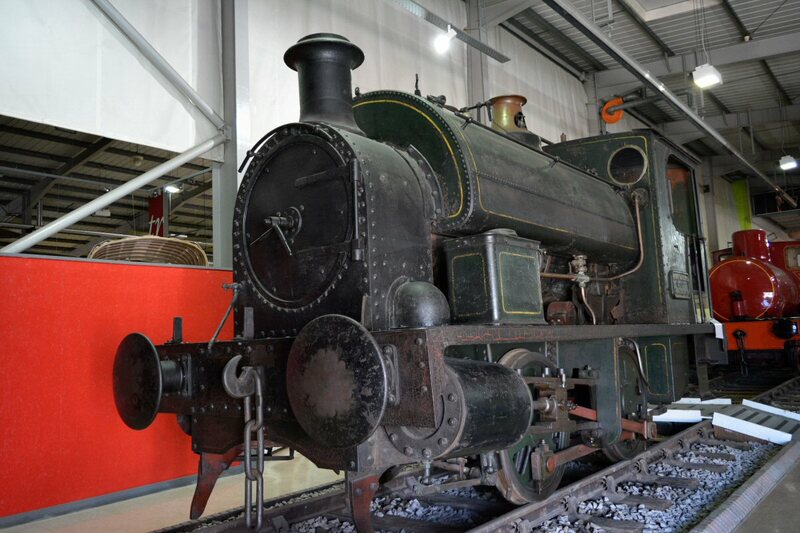 The main reason for the railway museum extension was to allow us to keep our exhibits and restoration work separate. We hoped that dedicated cleaner surroundings would make for a better visitor experience as well as improving the environment for the exhibits. We also hoped that the creation of extra space and a more professional museum environment would attract more high profile exhibits and we are please that the first of these new exhibits has been announced, namely the last surviving standard gauge steam locomotive to be built at Loughborough’s iconic Brush works. The 0-4-0 saddle tank locomotive was built in 1906 as number 314 and worked at Swansea Docks. It was withdrawn from service in 1964 and presented to the Leicester Museum of Technology in 1968, before going on display at Snibston Discovery Park in 1992. It will be coming to us this summer. Our interactive display has proved to be very popular. We have undertaken the mammoth task of scanning hundreds of old photographs and are slowly adding these to the display. We have also been fortunate to have received material from several of our local history groups. 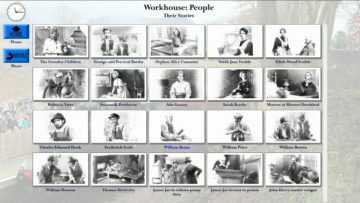 The Rothley History Trust recently held their “Echoes from the Workhouse Exhibition” which tells the story of the Poor Law from 1840 to 1930. 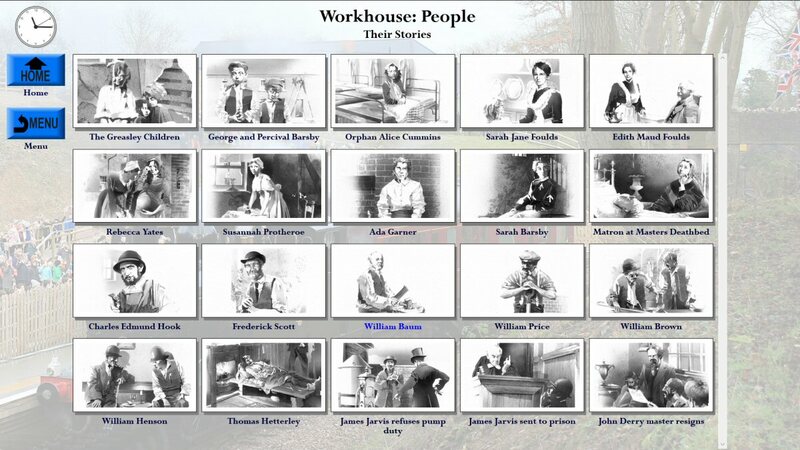 This included forty illustrations created to interpret the workhouse experience, edited into 40 video clips so that you can experience the lives of the paupers. They have been kind enough to provide us with these video clips so you can view them in the Heritage Centre. All will be through trains to the GCR main line and are subject to loco availability. Details of the March running can be found on the GCR’s website. We really couldn’t keep our site running without the help and dedication of our volunteers. We have volunteers from all walks of life, some young, many not so! Some are interested in the the railway, construction projects or nature, others enjoy meeting people and chatting about the work we do and our vision for the future. Visitors expect the Garden Railway to be running, and enjoy chatting with our museum guides. However we can only do this if we have volunteers available. We need more volunteers! So if you can spare an hour or two why not get in touch and maybe you can help us continue to make the Mountsorrel and Rothley Community Heritage Centre something special and in the process make new friends.